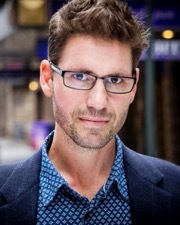 Markus received an Outer Critics Circle Award nomination, and the New York Times Critics' pick for his off-Broadway production of Stalking The Bogeyman at New World Stages, which he adapted and directed. He was the Interim Artistic Director of Theatre Aspen, and currently serves as Producing Artistic Director of NewYorkRep, an off-Broadway company with the mission of “developing and producing innovative new plays and musicals that inspire and compel social change”. He recently directed at The Portland Stage Company, Weston Playhouse, New Jersey Rep, Center Rep, London's Southwark Playhouse (Off-West End Award nomination for Best Production and Best Direction), and the New World Stages production of Church and State (off-Broadway Alliance nomination for best new play). As an actor he spent several seasons with The Guthrie Theatre, Denver Center, Long Wharf Theatre, American Conservatory Theatre, Berkeley Rep, and the tour of Death of A Salesman with Christopher Lloyd. As a commercial producer, Markus was on the team that brought the Arena Stage production of Eric Cobble's The Velocity of Autumn to Broadway, starring Estelle Parsons, who received a Tony Award nomination. Markus received his MFA from Columbia University, where he worked closely with Anne Bogart and Kristin Linklater for many years. He has taught around the country at University of Minneapolis/Guthrie Theatre, The National Theatre Conservatory/Denver Center, Adelphi University, American Musical and Dramatic Academy of Arts, and The New Hampshire Institute of Art as mentor to the MFA playwrights. Markus holds membership/affiliations with the Stage Directors and Choreographers Society (SDC), The League of Off-Broadway Theatres and Producers, Actors Equity Association (AEA), Commercial Theatre Institute (CTI), Off-Broadway Alliance, SDC's Executive Board nominating committee, National Alliance for Musical Theatre (NAMT) selection committee.